TERMS & CONDITIONS These conditions are applicable to present and future use. The video described below is provided to you from CTV London/Windsor on condition that it will be used only for personal viewing; or for non-broadcast educational use by an accredited non-profit ethnic, religious, cultural or educational organization or institution. 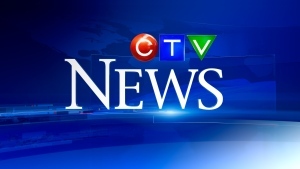 The video and audio content contained on the copy shall not be exhibited for a paying audience and may not be segmented or duplicated in whole or in part, or transmitted by electronic means of any kind including, without limitation, by way of closed circuit, cable, or internet without the written permission of CTV London/Windsor. Signature of this agreement also is your guarantee no part of the video or audio content will be used in connection with any legal matter. Acceptance and use of the copy constitutes acceptance of the above terms. Please REVIEW TERMS and select I Accept before you continue.